Information literacy is part of the undergraduate Nutrition program at the University of Ottawa since its creation 7 years ago, but has it been fully integrated? Is there any redundancy in its delivery? What is the impact of library sessions on students’ learning outcomes? 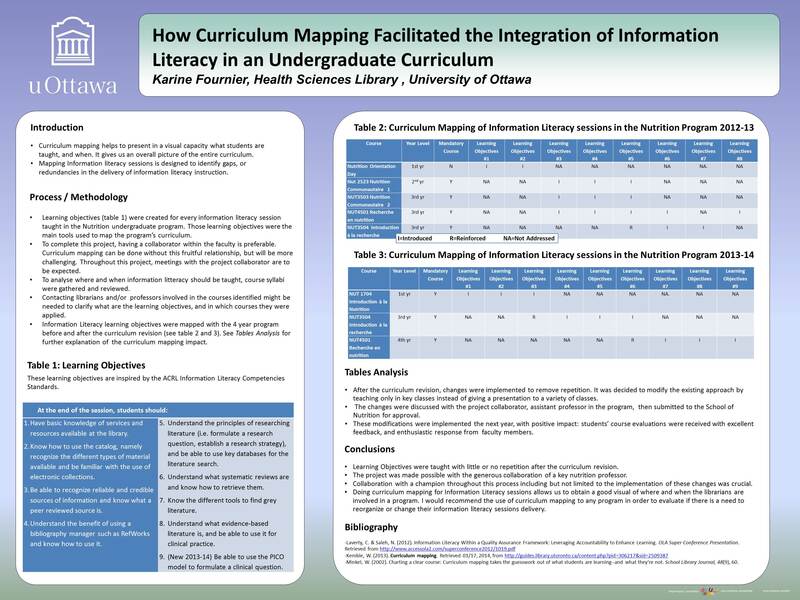 This poster will show how mapping information literacy throughout the curriculum can help answer these questions, along with identifying gaps in the students’ information literacy skills in order to improve them.